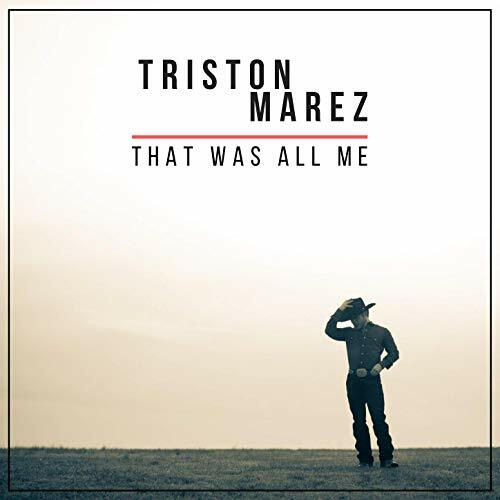 Up and comer Triston Marez has released his debut EP titled That Was All Me. You can find it available on streaming sites and Apple Music, which I suggest you do as soon as you finish reading this review. “That was All Me” is upbeat, catchy and sounds just like a George Strait cut. That is the highest compliment I can give for this song and I think it would sound amazing played on the radio and could be a potential hit if it connects with the right listeners. “Reservations for Two” is a mid-tempo ballad with a galloping beat that gets in your head and doesn’t leave you. There is a little nugget of gold lyric that says “Crickets chirpin’ up a little country tune.” I’d love to know who wrote that clever line! This is my favorite song on the EP (as of right now because it change to any song of the EP). On “Dizzy” the singer is saying that it might seem like he is drunk, stumbling over his words because he has had too much Jack, however, he’s basically drunk on love. “Dizzy” is catchy and infectious. For “Where Rivers are Red and Cowboys Are Blue”, I could easily here George Strait or Garth Brooks singing because they love their cowboys. I hope Strait catches wind of this song because you never know! “Here’s To The Weekends” is a catchy, radio friendly drinking song that celebrates the weekend as the title suggests. What I like about this song is that it is NOT another run of the mill drinking song! It’s fun, however, on it Triston doesn’t lose credibility, as if he’s just trying to cash in on a trend. In fact, I’d rather hear this song on the radio over most of what is currently being played. There’s even a lyric open for audience participation, give it a listen, you can’t miss it! As a bonus, also listen to Triston’s “Take Me Home”, a traditional country ballad that I’d say is one of the best songs to come out in the last 5 or more years. All of Triston Marez’s songs come together perfectly and effortlessly in a way that any major commercial country artist should be envious of. All of the songs have a rich tone in the form of traditional country music. The production and songwriting on each song is top notch. These well crafted songs showcase Triston’s singing ability like a seasoned country musician. As good as all of these songs are, something tells me Triston can sing anything and make it sound amazing.